It’s August already! Everyone knows what that means, it means it’s almost hockey season again and things are heating up in the fantasy hockey world. Here at DobberProspects we’ve already got our draft done for the year and now we’re into free agency and trades, lots and lots of trades. This 31-in-31 series will be super valuable for all you poolies out there especially those who are getting an early start to the draft season. The Bruins have made a number of moves this off-season and a wave of young talent is on the horizon. The departure of Jimmy Hayes and Dominic Moore has opened the door for the likes of Anders Bjork, Danton Heinen, Peter Cehlarik, Jake DeBrusk, Sean Kuraly and Jakob Forsbacka-Karlsson, all of whom are on the cusp of full-time NHL positions. Of particular interest is Anders Bjork, who enjoyed a breakout season for the University of Notre Dame this past season. Bjork, a former fifth round pick for the Bruins, has proven to be fantastic value for their organization and could very well be fantastic value on your fantasy squad in the near future. He’s got a nose for the net and now has the pedigree to back it up. Bjork was selected as a Hockey-East All-Star this season in the NCAA and was also a finalist for the prestigious Hobey Baker Award. Not too shabby for 146th overall. Bjork will fight for a spot out of training camp this year but will need to be successful early to keep from being pushed back by other NHL ready prospects. No one should be sleeping on Danton Heinen either. Heinen was also an NCAA standout for the University of Denver scoring 91 points in 81 games over the span of two seasons before signing a pro contract with the Bruins last fall. Heinen already has a year of AHL hockey under his belt which may put him ahead of Bjork for a position on the Bruins to start the year. Heinen was dynamite in the Calder Cup Playoffs this spring, leading all rookies in scoring and helping bring the Providence Bruins to the Conference Finals for the first time in eight years. While Heinen was great last year in the AHL, his eight game stint in the NHL was not. Heinen posted a goose-egg in eight games played to go with a minus-3 before getting shipped back down to the minors. If Heinen can prove he’s progressed from then to now he may get another look early this season. Former third round pick, Peter Cehlarik, is expected to be ready for training camp this season after a nasty shoulder injury derailed his rookie season for the AHL Bruins. Cehlarik, like Heinen, had an extended look with the Bruins last season but also didn’t manage to get any biscuits in the basket. He did however have much more luck with that in the AHL where he scored 20 goals and 18 assists in just 49 games. Cehlarik has NHL size and he’s got a lot of talent, but he’s had a couple big injuries now in a very short professional career and that has to be worrisome for both fantasy owners and the Bruins organisation. Unless Cehlarik dazzles in camp I expect him to start with Providence. A hot start or some early season injuries on the big club and Cehlarik will be one of the first to get the call. Everyone hates DeBrusk. At least that was the sentiment coming out of the 2015 NHL draft when the Bruins jumped several higher rated players to grab him at 13th overall. The truth of the matter is though that it wasn’t a bad pick then and it looks even better now. DeBrusk had a strong rookie season for the AHL Bruins, posting 19 goals 30 assists and a plus-11 rating. The deep playoff run that the P-Bruins went on was surely great for his development and his arrival in the NHL may in fact be sometime this season. I don’t expect DeBrusk to beat out Heinen or Bjork for a winger spot at this point in his development but stranger things have happened. Keep a close eye on him. There’s something to be said for being the guy the Bruins turned to when injury struck in the Stanley Cup Playoffs, and that’s a feather in Sean Kuraly’s cap coming into training camp this season. Kuraly had two goals in a game versus the Ottawa Senators that kept the Bruins playoff hopes alive and that’s the kind of performance the Bruins brass won’t soon forget. Kuraly has a good shot at the bottom six role vacated by Dominic Moore and is a very similar utility type player. Fighting for that same spot is Jakob Forsbacka-Karlsson. JFK is a talented offensive player but his responsibility in his own zone is what separates him from the other prospects of his age. The Bruins got JFK into a game at the end of last season and while he didn’t get much ice-time he surely would’ve had a taste of what was to come in his young career. While JFK isn’t the total package at this point in his development he does have all the tools to be an elite shut-down forward with strong offensive upside. Many liken him to a young Bergeron, and if the Bruins get near the player that Bergeron is they will have made a fantastic pick in this young Swede. His main competition for a job this season will be Sean Kuraly, and they will both be struggling to secure the spot in the roster vacated by Moore. While JFK likely has more upside, Kuraly has more experience and may be more NHL ready. This one is too close to call. Turning now to the defence, the Bruins said goodbye this offseason to both Joe Morrow and John-Michael Liles. These moves obviously make room for the permanent placement of both Charlie McAvoy and Brandon Carlo. While these two likely have the open positions sewn up the Bruins have plenty of defence depth to back them up. Waiting in the wings the Bruins have former 13th overall Jakub Zboril and QMJHL stand-out Jeremy Lauzon, both of whom could make the jump to the NHL sometime this season if injuries arise. Most notably, Charlie McAvoy was the talk of the NHL for a brief period after his call up with the Bruins in the playoffs last season. The whole world got a good look at what the kid had to offer and in unison decided that it was good. McAvoy is super talented and should take on an increasingly offensive role as he becomes more acclimated to the rigors of a full NHL season. McAvoy is clearly the best fantasy option on the Bruins blue-line outside of Torey Krug and should see power-play time this fall. McAvoy is almost guaranteed to make the team out of camp and it would be a big surprise if he does not. He’s worth a late round flier in almost every format this upcoming draft season. Other rookie standout, Brandon Carlo is a defense first player and fantasy owners shouldn’t project much progression from him in terms of offensive output. It’s just not his game. He will suit up for most of the season with the Bruins but his role will be defined and it isn’t the type you want to be drafting for. 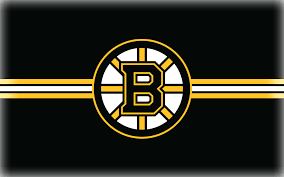 First in the line of replacements should be Jakob Zboril and Jeremy Lauzon who will both start the season with the Providence Bruins barring some sort of miracle training camp or an early injury to the Bruins core. Both players have shown the ability to tally big numbers in the QMJHL but will need to adapt to pro hockey in their first year with the Providence Bruins. I wouldn’t be surprised if at some point this season they both get a short look at the NHL. Zboril has the higher ceiling but Lauzon has impressed thus far in his development. Both are solid pieces but there will need to be some room made on the team before they find themselves in permanent positions. Thanks to everyone for reading and make sure you keep checking dobberprospects.com for news and updates. You can follow me on twitter @NHLFantasyGuy for sporadic off-season updates and occasional quips about how bad the Jays are. Good luck in your upcoming drafts!